IN A LAWSUIT HEADING TO TRIAL THIS FALL in state court in Volusia County, Florida, Byrd Campbell represents Stream2Sea, LLC, an emerging manufacturer of sunscreen and eco-friendly products in a legal battle with its competitor, Tropical Seas, Inc., manufacturer of “Reef Safe” sunscreen products. The trial may settle the issue regarding which party’s ingredients are better for the coral reef environment. 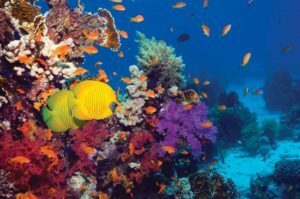 The controversy calls into question whether Tropical Seas’ use of “Oxybenzone” in its “Reef Safe” products—an ingredient which Stream2Sea excludes from its products—presents an environmental hazard. Tropical Seas filed the lawsuit claiming inter alia that Stream2Sea’s public denouncement of the use of “Oxybenzone” in sunscreen products constituted trade disparagement which was untruthful, deceptive, and an unfair trade practice. Stream2Sea asserts its rights to engage in free commercial speech in the competitive market place. Stream2Sea, in its defense, also stands behind the science supporting its claim and the general public debate on the topic, including articles posted by National Oceanic and Atmospheric Administration (NOAA) and research by C.A. Downs, et al., published in the Journal of Environmental Contamination and Toxicology. “In the clear light of the courtroom, the jury should get the chance to address the issue once and for all—more or less, have a referendum—on whether sunscreen products using ‘Oxybenzone’ present an environmental hazard,” says Tucker H. Byrd, who is trial counsel along with Scottie McPherson for Stream2Sea.